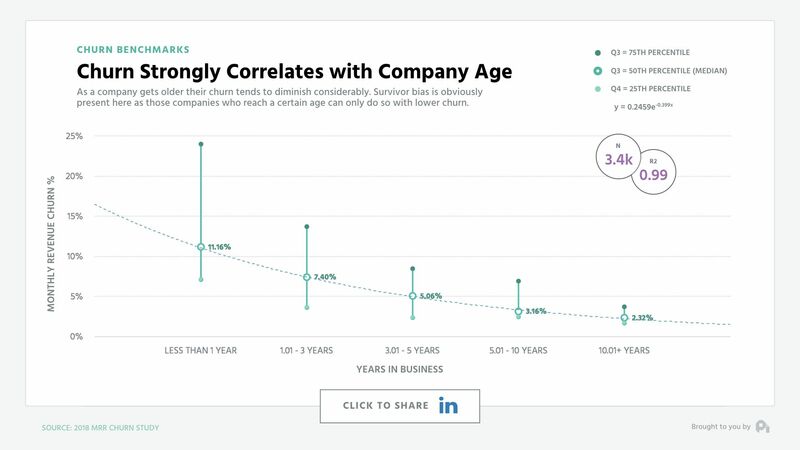 Larger companies tend to see 15-30% lower churn. 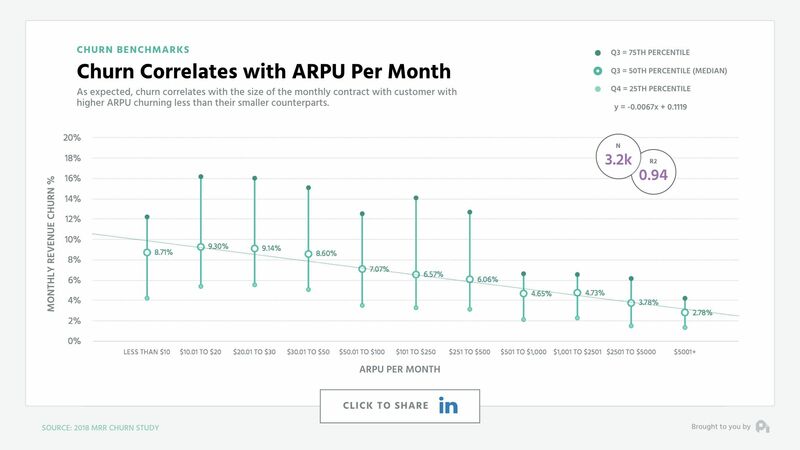 Companies with low ARPU have 2-3X more churn. 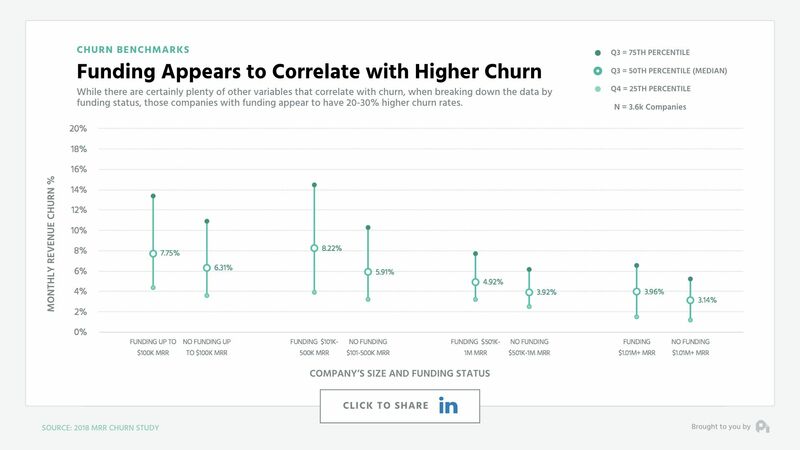 Venture-backed companies experience 20-30% more churn. 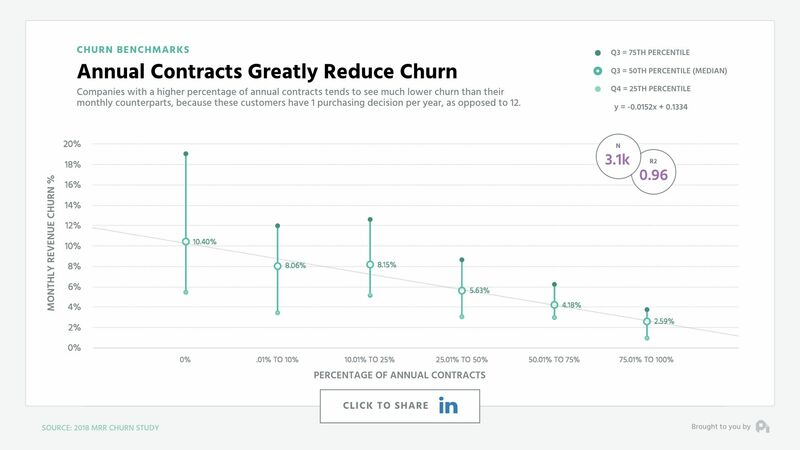 Companies with more annual subscribers have 40-60% less churn. 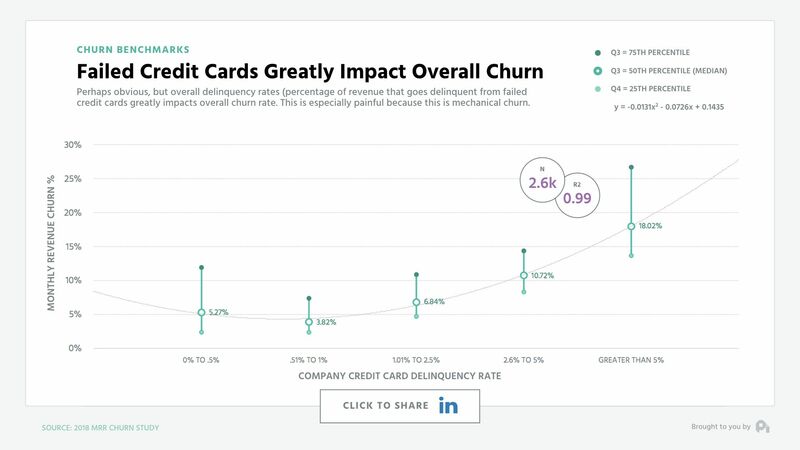 Higher delinquency rates are strongly correlated with 2-4X more churn. No obligation ask: Click to tweet and thank David Cancel for his question (you can edit before sharing). Finally, and likely most controversially, we found that those companies with funding saw 20-30% higher churn rates than those who didn't take on funding. 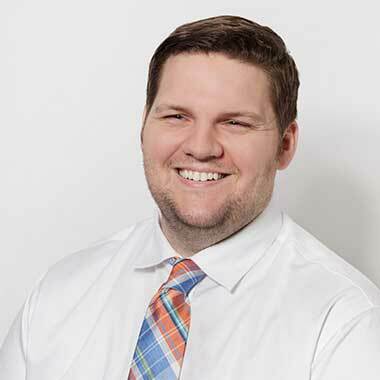 There's likely a number of reasons for this, but through qualitative research we've found that a likely culprit is the false sense of security that comes with the moral hazard of being able to spend your way out of growth holes. Not saying don't raise funding, but be careful and ensure funding is a tool, not a crutch or a bandaid. That's all for this week. We look forward to bringing you more data and insights about the subscription economy next week. Want subscription insights and bechmarks sent to your inbox? 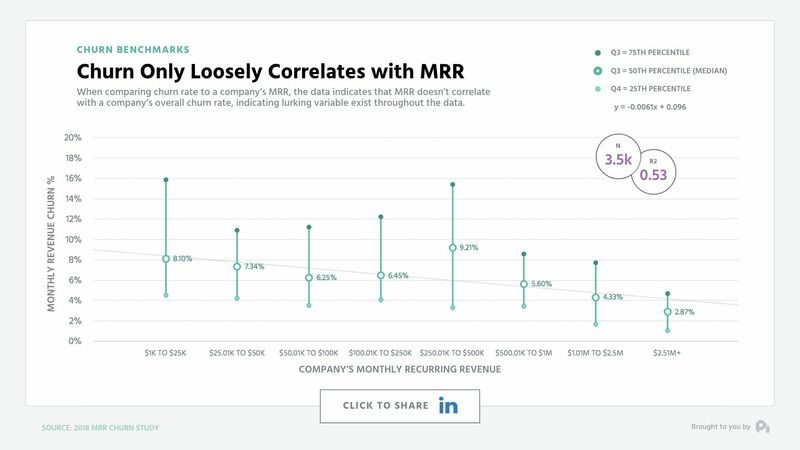 We've used this process to create billions of dollars of growth in the SaaS Economy.